In October 2017, a circuit court judge dismissed David Gersenson’s case against the Sleeping Bear Dunes Visitors Bureau after the bureau promised never to charge Gersenson the assessment in question. The Mackinac Center Legal Foundation hopes to continue the fight against this violation of free speech with another client in the future. For more information on the issue, read on. Gersenson said the arrangement infringes on him as a human being and as an American, and that he also disagrees with the bureaus’ procedures. The United States Supreme Court has held that a person may not be forced to subsidize speech against his or her will, regardless of the message. 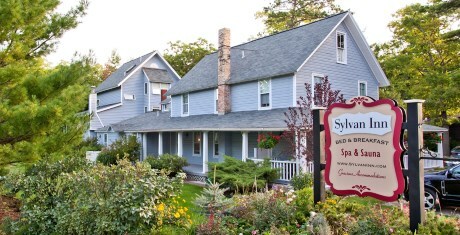 Courts have consistently found that governments may not grant independent entities like the Sleeping Bear Dunes Visitors Bureau the power to compel business owners to subsidize commercial speech unless their industry is effectively controlled by the government through massive regulation or subsidies. The suit alleges that the state law authorizing the bureau is unconstitutional for the same reason. The case was filed in the State of Michigan Court of Claims and names the bureau and Steve Arwood — president of the Michigan Strategic Fund, which approves actions taken under the Community Convention or Tourism Marketing Act — as defendants. The suit seeks a declaration that the tax is unconstitutional, as well as nominal damages. In 2016, the Mackinac Center filed a similar lawsuit on behalf of resort owner George Galbraith against Arwood and the Indian River Area Tourist Bureau. It dismissed the suit in the fall after he sold his property.